The Facility for Arts Research (FAR) is excited to announce its newest unit, The Comma Project. 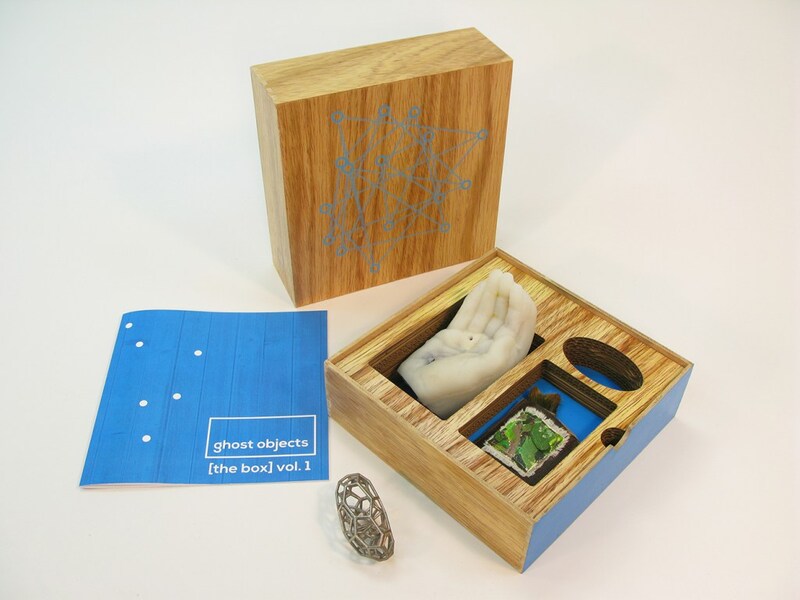 The Comma Project has just released its debut edition: ‘Ghost Objects‘. This limited edition is the product of a collaborative effort to create and produce hand-made and digitally produced, 2- and 3-dimensional works intended to be handled. ‘Ghost Objects’ contains objects by Kevin Curry, Lilian Garcia-Roig, Carolyn Henne, and words by Judy and Rob Rushin. Kevin Curry’s Gihon River Rock (2017) is from his series Tripping Over The Same Stone, in which he explores concepts of location and memory through the cataloging of commonplace rock forms that would normally go overlooked. 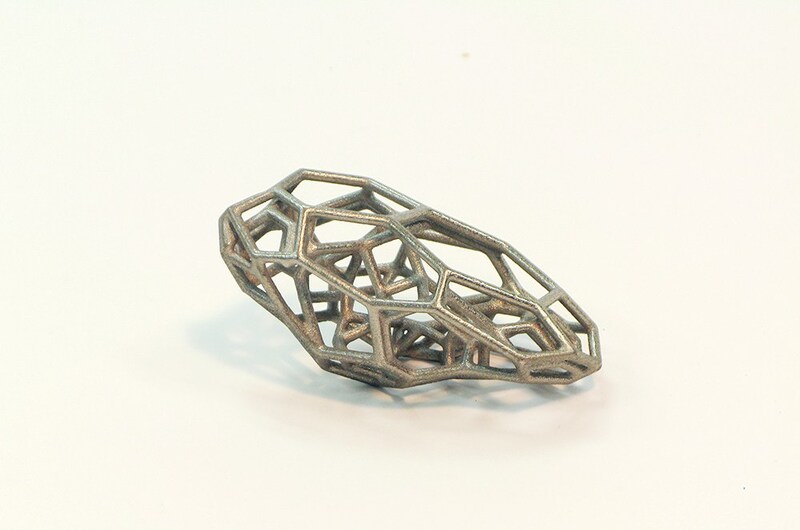 It is 3D printed in nickel steel. Lilian Garcia-Roig’s Genus Roigus (2017) addresses the link between her work as a painter and the scientific research of her great-great uncle, the Cuban botanist, Juan Tomas Roig. 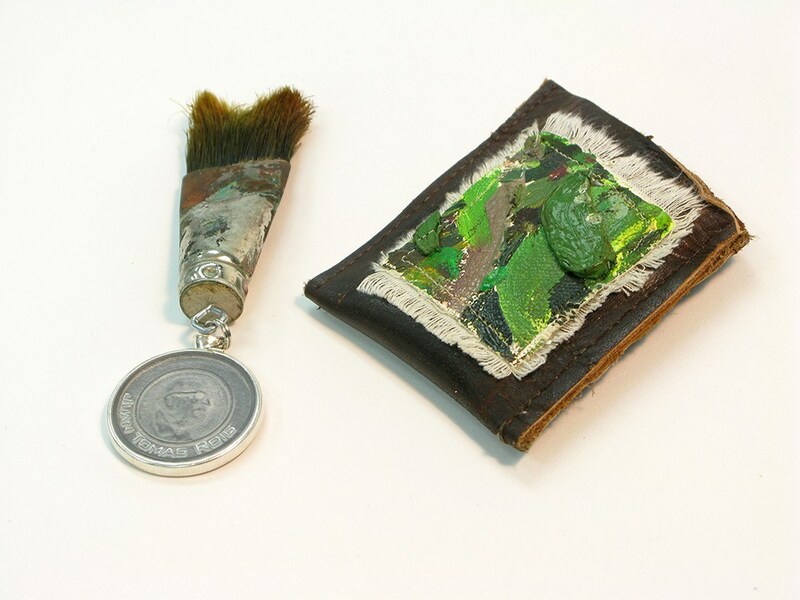 Each piece is unique; made from one of Roig’s deconstructed paintings, her old paintbrushes, recycled leather shoes, and a 3D print. Carolyn Henne’s Rekindle (2017) is a prosthetic glove that fits over a human hand, intended to provide therapeutic comfort and bio-feedback triggered verbal reassurances. It is made from silicone and electronic components and comes in a protective bag. The box is made from reclaimed wood with screen-printed and painted surfaces, designed by Judy Rushin. Ghost Objects also includes texts by Judy and Rob Rushin. Technical assistance with modeling and fabrication was provided by Robby Nowell. Graphic Design assistance by Gabrielle Taylor. For purchasing information contact Judy Rushin at the Facility For Arts Research.